Upon the death of the village Chief Priest, Obidike gets struck by a strange sickness, leaving his mother in doubts that he has been poisoned by his step-mother. Dike, Obidike’s father and his elder brother Amadi, embarks on a quest to discover the root of such illness, after consulting the oracle through AKIKA the native doctor, it’s reveal that Obidike has been chosen by the gods as the next Chief Priest of Umuaka Village in the eastern part of Nigeria. A sunny afternoon by the village river-side, after Obidike’s recovery from the strange sickness, Obidike sights the arrival of strangers on two canoes into their community, “Mr White” a British colonial/ slave master, “Ogoni” his Interpreter and his armed bodyguards. Obidike takes to his heel, running home to inform his father about the arrival of the strangers. the village town crier raises alarm, leading to the arrest of Mr white by the village vigilante group. Ogoni negotiates for Mr. White’s freedom with the village elders and in the process offers them various gift items of mirror, matches, wrappers, gun powder etc, he capitalizes on their ignorance and amazement at these strange gift items to deceive them into believing that MR WHITE is God’s representative on earth. As Mr.White regains his freedom, he takes advantage of his new conviviality accorded him to perpetrate evil and destabilise Umuaka village community’s system of government. Mr. White appoints Amadi, to be the Warrant Chief of Umuaka village after a show of loyalty, out of greed and quest for power, Amadi uses his position as the village Warrant Chief to secretly eliminate opposition group, using his brother Dike as a scapegoat. 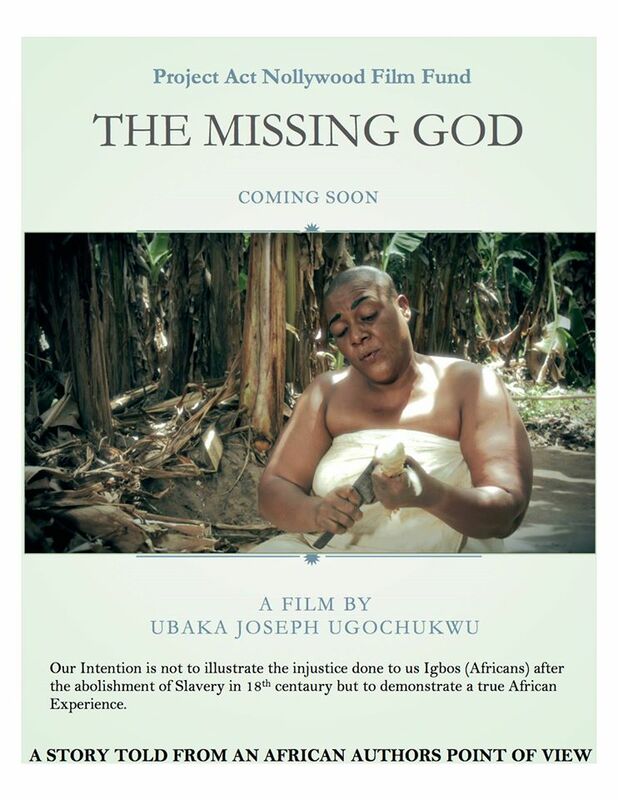 MG TEASER HD from UBAKA JOSEPH UGOCHUKWU on Vimeo. Mr. White later defied the gods when he took to captivity the chief priest to be OBIDIKE and looted some sacred idols of the village. This he did with the special connivance of AMADI, who has been jealous of young OBIDIKE’S rising profile as the new Chief Priest to be. This affront on the traditional religion of Umuaka did not however go unchallenged by the gods of the land. 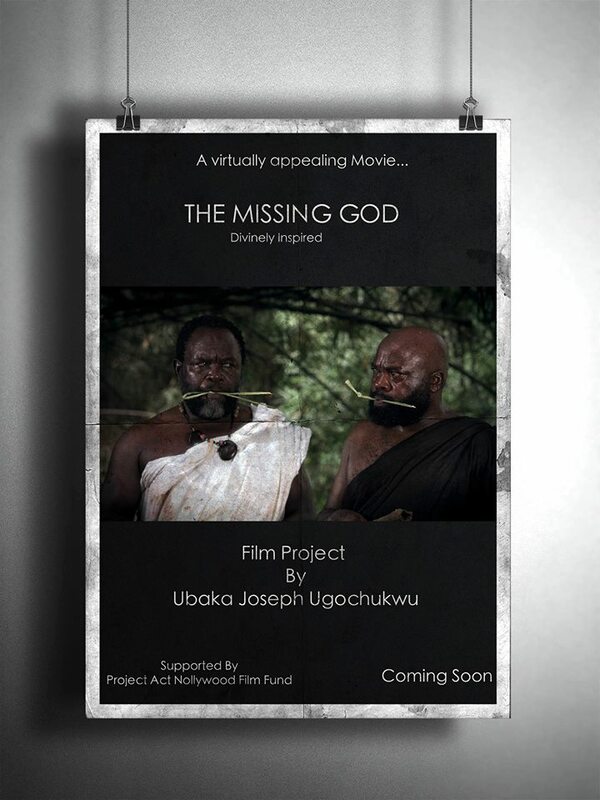 Subsequently, the ghost of the late Chief Priest appears many times to Mr. White, demanding the return of the stolen deity and the release of Obidike together with other slaves from Umuaka village, but Mr. White men remains adamant. Severally Obidike has been questioned by Mr. White, to tell him who’s the Old man that visits him most night demanding for his release, but Obidike’s lack of responses triggers the evil spirit in Mr White, making him instruct his guards to double Obidike’s punishment there in the slave camp. The gods of Umuaka village decides to strike after the arrival of two british slave traders, Mr Jackson and Duncan to Umuaka village courtesy of Governor Wilberforce to assist Mr White in expanding her majesty’s business on the coast, by killing the slave masters and their local collaborators with strange ailments. In the confusion that trailed the deaths, OBIDIKE uses the opportunity to mobilize other captives in a revolt that marked the killing of Mr White, the recovery of the stolen sacred mask and the total destruction of the slave camp. Obidike returns home from the slave camp and goes to Amadi’s house, to show him the sacred mask, after which, he goes to restore the sacred mask in Umuaka village shrine where he assumes his rightful position as the village Chief Priest, out of shame Amadi secretly commits suicide. Why Engr. Suleiman Hussaini Adamu FNSE, MASCE Should be a minister. Having seen the ministerial list that will go to the Senate for screening, I came across this impeccable profile of Engr. Suleiman Hussaini Adamu FNSE, MASCE. We have been chanting for change and this will not happen until real professionals have been integrated into Nigerian Democratic leadership. Nigeria should be happy for a credible person like Engr. Suleiman Hussaini Adamu FNSE, MASCE to be part of this new dawn in our democratic system. I have always believe that the President will make a very good selection and Engr. Suleiman Hussaini Adamu FNSE, MASCE is one of the most exciting nominees which the senators have to give to Nigerians if they want a better Nigeria. Below is his profile that will make you believe that he will surely perform as a minister for a new Nigeria. Suleiman H. Adamu was born on the 19th of April 1963. He hails from Kazaure Local Government Area of Jigawa State. He graduated from Ahmadu Bello University, Zaria, in 1984 with a Bachelor of Engineering (Second Class Upper Honours) in Civil Engineering; and also obtained a Master of Science degree in (Construction) Project Management from University of Reading, United Kingdom in 2004. He started his career in the public sector at the Federal Capital Development Authority (FCDA) in 1985, where he supervised roads and bridges construction in Abuja Central Area Project; and at the Water Resources and Engineering Construction Agency (WRECA), Kano State, where he designed, supervised and managed several water and dam projects. He later co-founded Integrated Engineering Associates (IEA), a leading firm of civil/structural, electrical, mechanical and environmental engineering consultancy where he has been involved in the planning, design, supervision and management of several buildings and civil engineering projects in Nigeria covering a wide spectrum of engineering and infrastructural works like office/commercial structures, roads and water supply schemes. 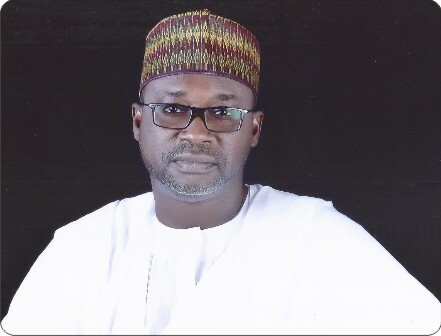 Between 1995 and 2000, following his secondment by IEA as Principal Consultant under a partnership agreement with Afri-Projects Consortium, Management Consultants to the Petroleum (Special) Trust Fund, Adamu was actively involved in the planning and preparation of several national infrastructural projects in the health, education, transportation, agriculture, water resources and energy sectors. At implementation stage he served as Project Manager on several projects, notably under the PTF Urban/Semi-Urban, Regional and Rural Water Supply Programmes, National Farm Power Machinery Rehabilitation Programme and National Waterways Development Project (Dredging of River Niger). Adamu was winner of the Nigeria Ports Authority prize for the Best Final Year Student in Civil Engineering, 1984. He is a Registered Engineer and presently the National Vice President of Association of Consulting Engineering in Nigeria (ACEN). He will step in as its next President in January 2016. He is also a member of the American Society of Civil Engineers (ASCE) and Fellow, Nigerian Society of Engineers (NSE). He served on the governing council of Council for the Regulation of Engineering in Nigeria, COREN (2006-2009) and is sitting on various committees of ACEN and NSE. Adamu is a policy researcher and political administrator. He served as National Vice Chairman (North West), for the defunct Congress for Progressive Change (CPC), from 2010 – 2013; and had served in leading positions in several party committees and Presidential Campaign Councils of Buhari-Okadigbo (2003), Buhari-Ume-Ezeoke (2007), Buhari-Bakare (2011), and Buhari-Osinbajo (2015). He co-prepared The Buhari Programme 2003, The Buhari Programme 2007 and The Buhari Programme for Change 2011. He is a member of Kazaure Emirate Council, and was conferred with the traditional title Danburam Kazaure in 1998. He enjoys reading, traveling and golf – and is the current Captain of Kaduna Golf Club. He is married with children. The International Committee of AFRIMA and the African Union Commission, AUC, on Monday October 5, unveiled Lagos, Nigeria, as the Host City for the 2015 All Africa Music Awards, AFRIMA, putting to rest high expectations among AFRIMA stakeholders about the Nigerian city to capture hosting rights. Announcing the host city, the Director of Communication and Sponsorship, AFRIMA, Ms. Matlou Tsotsetsi said: “Following the recce and inspection of facilities and infrastructure of four states in Nigeria namely: Akwa Ibom State, Cross Rivers State, Lagos State and Rivers State by the African Union Commission, AUC and AFRIMA production team, Lagos has been chosen to host the continental awards ceremony this year”. Ms. Tsotetsi further said: “It is worth mentioning that Nigeria won the rights to host AFRIMA for three years – 2014 to 2016 – as announced at a world media conference by the International Committee of AFRIMA on October 6, 2013. Nigeria vied for the hosting rights alongside 13 other African countries eventually winning the competitive bid. As a result of this, the 2014 edition held in Lagos, while AFRIMA 2015 holds at the Eko Convention Centre, Eko Hotel and Suites, Victoria Island, Lagos on Sunday, November 15. The most populous city in Nigeria, Lagos is renowned as the hub of music, entertainment and commerce in Western Africa. Lagos is also globally recognised as an African megacity for business and tourism. The state is famous for her aquatic splendour and vibrant festivals/events such as Eyo Festival, Badagry Festival, Lagos Black Heritage Carnival, Lagos Carnival, Eko International Film Festival, Lagos Seafood Festival, Lagos Photo Festival and the Lagos Jazz Series. The 2015 edition of AFRIMA is geared to increase the tourism and entertainment equity of the state as the International Committee prepares to receive an influx of international and Africa dignitaries, AFRIMA 2015 nominees, music stars and executives who are attending the events. AFRIMA 2015 will go further to offer benefits that would help in raising the continental and international profile of the city, including an opportunity to tap into the millions of participants and followers of the growing African music. According to Miss Mary Umeh, an enthusiastic African music fans and an undergraduate of the University of Lagos, UNILAG, “We have been privileged to witness so many special moments through entertainment and music over the years in Lagos. However, having African music superstars under one roof at AFRIMA 2015 in Lagos will leave us with wonderful memories remembered with pride in years to come. Stating the International Committee`s position on Lagos as the host city for AFRIMA 2015, the Executive Producer/President of AFRIMA, Mike Dada, said: “The International Committee is honoured to have a state that is rich in culture and tourism and shares in AFRIMA`s vision of creating a deep brand equity for Africa and Africans. This is in line with our objective of promoting Africa’s cultural wealth and producing a world-class, live performance and television broadcast show that portrays the best of Africa to the rest of the world”. Preceding the main awards ceremony on Sunday, November 15, will be the “Africa Music Summit” on Friday, November 13. Themed “Reviving the Business of Music in Africa”, the Summit is a platform for the African music industry stakeholders to engage and deliberate on how the music industry in Africa can be nurtured in a way that adds to the GDP of the continent. The 2015 awards ceremony is expected to be broadcast live to 84 countries on 109 television stations across the world with the support of AFRIMA media partners.